Tax credits for higher education, are forms of educational assistance provided to students and or their parents to undertake payment of education expenses. There are two types of recognized tax credits within the federal tax system overseen by the Internal Revenue Service and the federal government: The American Opportunity Credit and The Lifetime Learning Credit. To get access to this credit facility, one has to pay their post-secondary tuition for themselves, their spouse or their dependent. The credit may be claimed by the student or parent but cannot be claimed by both. One can choose to claim either credit for each student in a single tax year, not both credits. For instance, one cannot claim The American Opportunity Credit to pay their child’s tuition and then claim the Lifetime Learning Credit for more school expenses. However, if one incurs education expenses on more than one student within the academic year, they can opt to seek either credit individually, with each student/year case taken separately. This is an improved version of Hope Educational Assistance Credit. It was created as a part of the 2009 Stimulus Bill, which was part of the federal government’s intervention process during the economic crisis of this period. Whereas it is improved, it does have a few limitations; one can only claim expenses incurred during the first four years of college. It is also temporary, unless the congress acts upon it, it will expire at the end of 2012.
Credit can be up to $2,500 per eligible student. 40% of the credit is refundable, meaning that; one may be able to receive up t0 $1,000 even if they owe no taxes. Expenses that meet this criterion include tuition, fees, textbooks related to the course and equipment like lab and measurement equipment. The student must be pursuing an undergraduate course or other recognized educational credential. The student must also be registered as studying for a minimum of half the time of the projected study year. The full credit is generally available to Individuals who make less than $80,000 or $160,000 in the case of married couples wishing to file jointly. Like the name suggests, it is fairly flexible and open to any education activity that is taken after secondary level, or any additional job or skills courses taken thereafter. Credit can be up to $2,000 per eligible student. The credit one has access to be limited to the amount of tax you are required to pay as part of the returns. As mentioned above, this facility is not limited to degree courses but has a fairly wide educational access qualification basis. The expenses that can be covered by this facility include tuition and fees, textbooks and assorted equipment. Taxpayers who make earn less than $60,000 or $120,000 for married couples wishing to file a joint return can access the full breadth of this credit as well. Filing tax returns is the single most frustrating task for most Americans. Still, every citizen has an obligation to do it. Admittedly, it is not the simplest thing to do and the average person spends more hours than they can afford preparing their taxes. Add to that the many mistakes one is bound to make. With these tips, we hope that you will be able to less time preparing taxes and avoid some of the most common mistakes. Homeowners need Form 1098 for mortgage interest and Form 1099-S showing the sale of your home or other real estate property. If part of your mortgage debt was cancelled, you must indicate it in Form 1099-C. 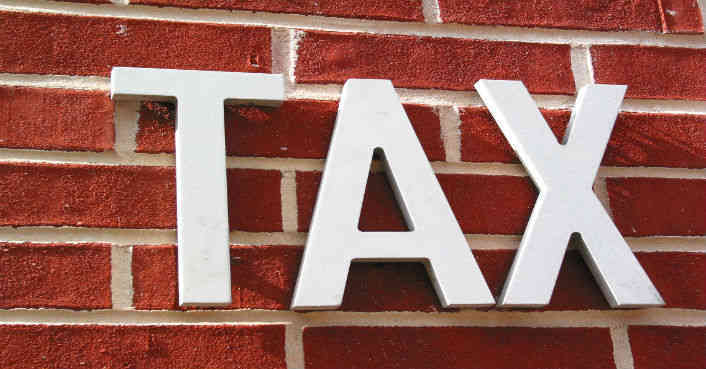 If the cancellation was on your main residential house, you are exempt from paying tax. You will need to fill Form 982 for this. If you are not hiring a tax preparer, use tax software for your tax calculations. It is so much easier than doing the math on your own and will help you avoid many mistakes. Check every angle for deductions you could qualify for which can make a huge difference in the amount of taxes you end up paying, from medical and self employed health insurance to work-related, property, real estate, and state tax deductions. To meet the deadline and avoid penalties, pay as early as possible. If you have no time to file by the due date, ask for an extension via Form 4868. Note that this is for filing only, not paying. Your payments must still be made by the IRS deadline.